Those of you visiting Buenos Aires this week may be wondering what will be going on given that Easter tends to promise more quiet time than action and attraction, however, fear not, the city always has something interesting to offer. Literary madness takes a hold of the city starting Wednesday when the annual International book fair is launched and religious celebrations and easter eggs follow as the locals take a few days off from the city leaving it clear of the busy bustle. Take a walk down Pasaje Rivarola, a beautiful street which appears to be stuck in time in the historical downtown area. Built in 1926 and characterized by its mirrored buildings on both sides, it is a regular location for film productions looking for an old fashioned feel. 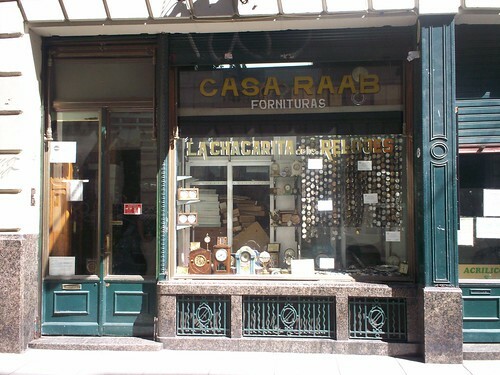 Whilst you´re there visit “La Chacarita de Los Relojes”, a small shop specializing in antique clock and watch restoration. In the evening head to Club Severino for a wild party hosting a gore night promising laughs and scares, make up artists and special effects. We suggest you take a cab as the surroundings of Av. de Mayo and La Casa Rosada, where the club is located, is a bit dodgy at night. A compilation of Argentine documentary photography (1850-2010) is being exhibited at the Centro Cultural Recoleta until this Sunday. A great opportunity to get a feel of the city’s history. If you’re in the mood for some clubbing later, head to Palermo where nightclub Kika hosts “Hype” their Tuesday hit party. For those interested in the local politics and upcoming elections the British-Argentine Chamber of Commerce is hosting a breakfast at the Hotel Panamericano de Buenos Aires to present an analysis of presidential candidates for 2011. The breakfast is $120, to attend send an email to eventos@ccab.com.ar. For a look at geometric latin american art, head to the Palais de Glace and check out the “MADI” exhibition displaying works from Argentine, Uruguayan and Brazilian artists that took part in this movement. Close by is the display “Infinito Paisaje” by Brazilian artists Katia Maciel and André Parente, where they showcase interactive installations and video projections about landscapes and love stories. 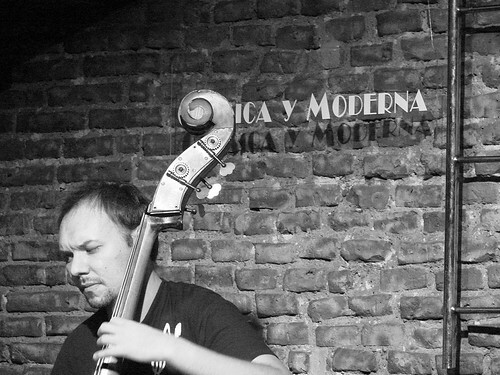 In the evening, the Centro Cultural Konex hosts their weekly Milonga “La Garufa” where the traditional tango genre meshes with a modern approach. Beginner and intermediate classes are offered at 8pm, advanced at 9.30pm and the milonga, with a live orchestra starts at 11pm. 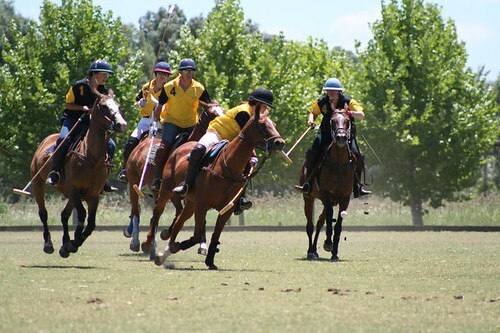 A big event this week is the Argentina-England Copa de las Naciones polo match being played in Palermo. The event begins at midday offering live shows and lunch and the match begins at 3pm. Tickets available here. Later on in the evening, tour the city s art galleries in its first Gallery Night of the year. A great place for drinks later at night is 878, a hidden bar in Palermo with a great selection of whiskies and cocktails. Good Friday is probably the slowest day of the Easter holiday. You have two choices, you either experience the local Easter celebrations or you find something alternative to do. If you go for the first option, you might enjoy going to “Tierra Santa” a surreal religious theme park which has recreated old jerusalem, the resurrection of Christ and many biblical stories including the genesis. There will also be a staged Via Crucis, but we recommend you experience this in Av. de Mayo starting at 8.30pm in Plaza Lorea where the the procession will be accompanied by a choir and an orchestra. If you want something alternative to do, head to the MALBA and check out the Grette Stern and the Nineteenth Century exhibition hosted at 5pm. Hitchcock fans will also be able to catch one of the movies being screened. Later on at night go to Club Niceto for their Friday “Invasion” bash. In the evening the Centro Cultural Recoleta hosts a clown and music show at 7pm. If you would like to attend Easter mass in English you can go to the Parroquia Madre Admirable near Retiro at 10am. Otherwise the United Community Church in the Acasuso town on the suburbs of the city offers services in English. This entry was posted in Buenos Aires Agenda, Where to Go, What to Do and tagged agenda Buenos Aires, art, culture, easter, english mass, Live Music, polo, recoleta, what to do by Fierro Hotel Staff. Bookmark the permalink.